Fast changing. Magnetic seals for easy use. Rugged steel frame and a solid recycled PVC base. Fits A2 sized posters. 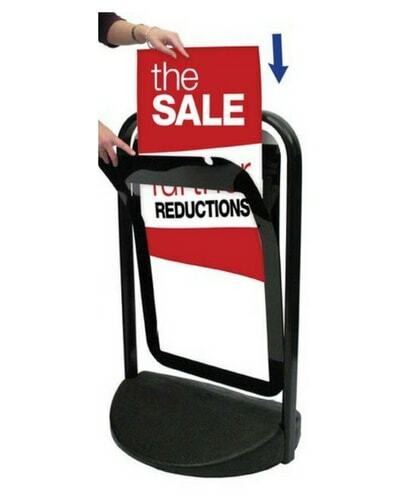 The easy changing Magnetic Swing Poster Sign is ideal for displaying your A2 sized poster material securely in retail areas. 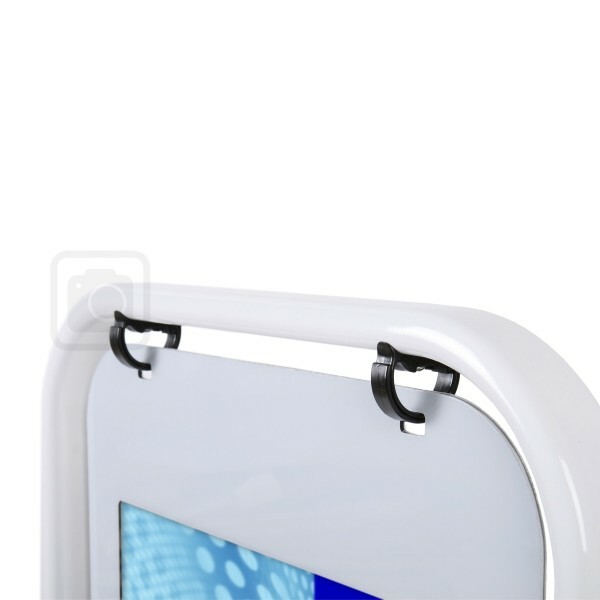 Constructed from a powder-coated steel frame and solid recycled PVC base to ensure durability and long-lasting use. 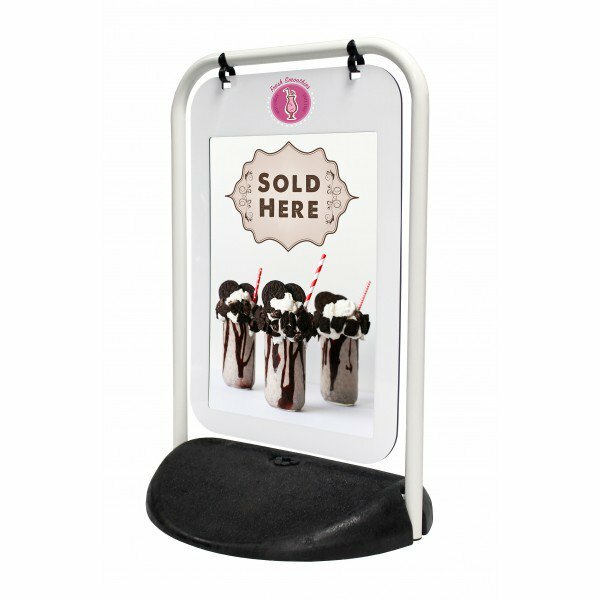 Change your graphic in seconds with fast changing magnetic poster pockets – made from a weatherproof polycarbonate material suitable for outdoor use. Available in a black or white frame. 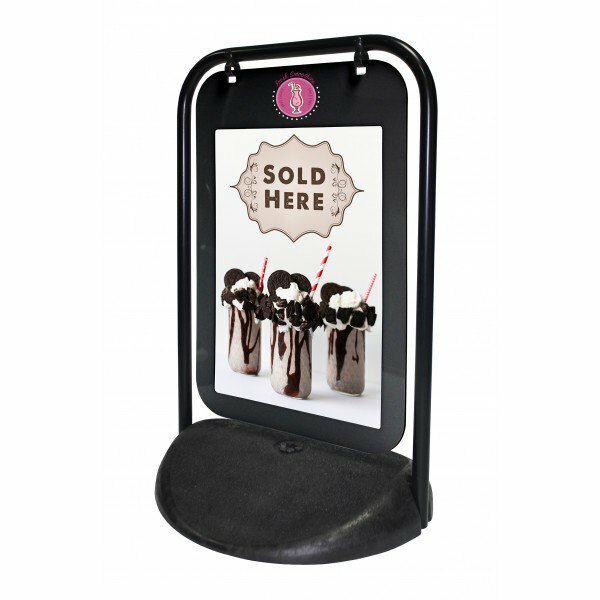 Check out our full pavement signs range for different sizes. Open poster pocket and insert A2 poster.